Cities across America are fitting their police officers with cameras. It's been a windfall gain for Taser, the maker of wearable cameras and stun guns. The company reported a 50% increase in camera sales in the first quarter of 2015, compared to the same time a year ago. 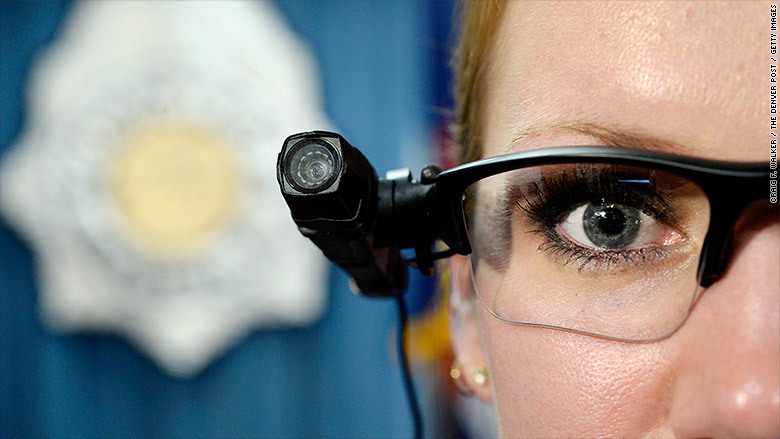 Taser (TASR) said a total of 16 major U.S. cities, including Miami, Los Angeles and San Diego, have purchased its wearable cameras for their officers. The list doesn't include Baltimore. Freddie Gray's death in police custody in Baltimore is sparking debate about the transparency of those in uniform. Some critics say that if the Baltimore police had been wearing cameras, the events leading up to Gray's death would have been clearer. Baltimore's City Council proposed a bill last year to put cameras on officers. But mayor Stephanie Rawlings-Blake vetoed it, citing budget and implementation issues. The mayor has since been working on a police camera proposal of her own. The problem is that Taser's AXON cameras are expensive, especially for cities strapped with tight budgets. One AXON body camera is $399. But a growing number of large cities -- New Orleans, Pittsburgh, Las Vegas -- are deciding that the cost of cameras is worth it. Many of them are betting that it could possibly help prevent the violent reactions seen in Ferguson, Mo., and Baltimore. It's been a boon for Taser (TASR). It's stock is up 84% in the past year and is edging closer towards its all-time high Thursday. The majority of Taser's sales are still stun guns. The company's overall sales rose 23% in the first quarter.